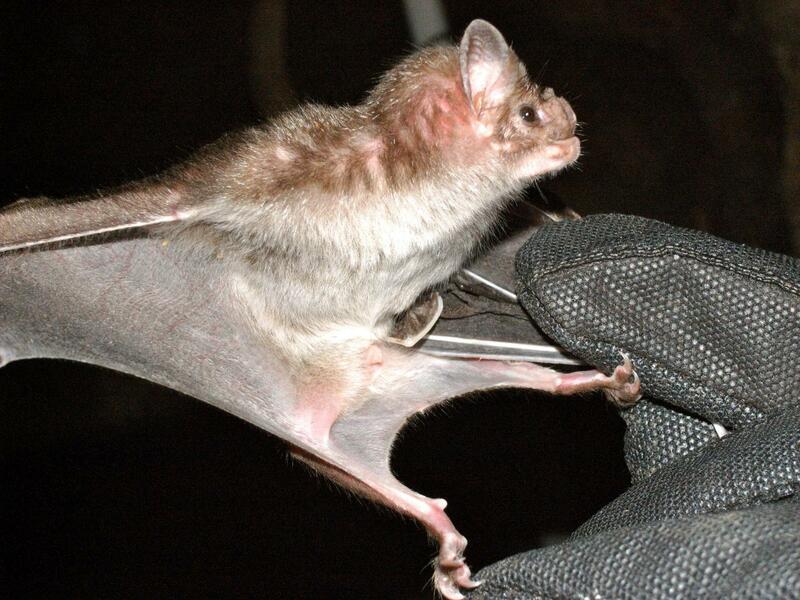 Venom from common vampire bats holds a new class of potential blood pressure drugs. Novel therapeutics, even when they come from unexpected places, are a welcome addition to the armamentarium of drugs available to treat diseases. Now, a team of researchers from The University of Queensland has found that the venom from common vampire bats (Desmondus rotundus) holds a new class of blood pressure-regulating peptides. The work appeared in a paper titled, “Vampire Venom: Vasodilatory Mechanisms of Vampire Bat (Desmodus rotundus) Blood Feeding” was published recently in the journal Toxins. Bryan Fry, PhD, associate professor at the University of Queensland, said the peptides could help revolutionize treatments for a wide range of conditions, including hypertension, heart failure, kidney diseases, and burns. “The peptides are mutated forms of the Calcitonin Gene Related Peptide (CGRP), used by our bodies to relax blood vessels,” Fry said. 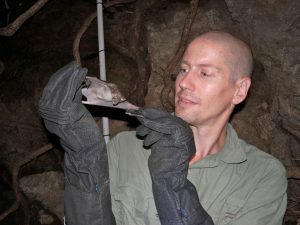 Bryan Fry, PhD, with a vampire bat at the field site near Cuernavaca, Mexico. “The peptides from the bats are unusually selective in their mode of action, making them even more therapeutically useful than the CGRP, as they have fewer side-effects. This could potentially help doctors in the treatment of a range of disorders featuring heightened pressure in small blood vessels, or may be able to improve blood flow to damaged or transplanted tissue such as skin grafts,” added Fry. The authors wrote that, “animals that specialize in blood feeding have particular challenges in obtaining their meal, whereby they impair blood hemostasis by promoting anticoagulation and vasodilation in order to facilitate feeding.” They added that, “D. rotundus is unstudied in regards to potential vasodilatory mechanisms of their feeding secretions (which are a type of venom).” This is despite previous work that has shown that the venom’s strong anticoagulant and proteolytic activities delay the formation of blood clots and interfere with the blood coagulation cascade. When the team tested the compound from D. rotundus venom, they found that the vampire bat-derived form of CGRP (i.e., vCGRP) selectively caused endothelium-independent relaxation of pre-contracted rat small mesenteric arteries. Moreover, the efficacy and potency of vCGRP were similar to that of CGRP. This is the first detailed investigation into the identification and function of a vasodilatory peptide found in D. rotundus venom, which provides a basis in understanding the convergent pathways and selectivity of hematophagous venoms. These unique peptides may have potential as candidates for drug design and development. “This discovery is another example of why it’s so important to broadly protect nature, since we can’t predict where the next great biologically sourced drug discovery is going to come from. Venomous animals around the world are under threat, even more so than most other threatened or endangered species, due to deliberate persecution driven by fear or misunderstanding,” Fry noted. Working on vampire bats has many challenges, including the natural location of the bats. The team’s research had been hampered by criminal activity at a Mexican field site and specimens have been hard to access.